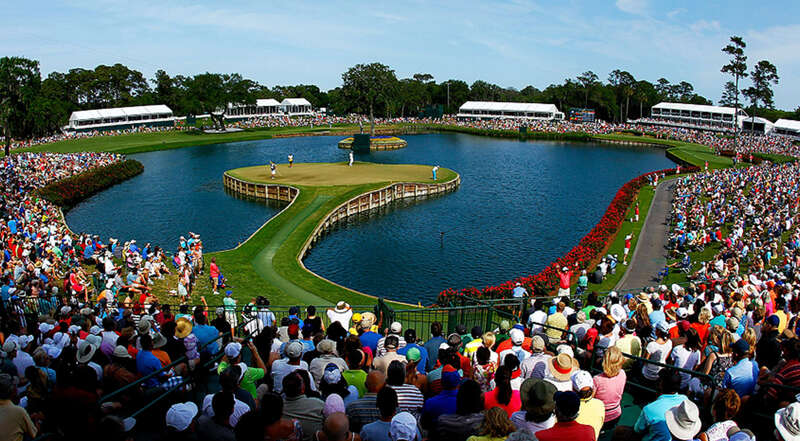 Golfers from around the world are descending upon TPC Sawgrass in Ponte Vedra Beach, Florida for the 46th Players Championship, held March 14-17. 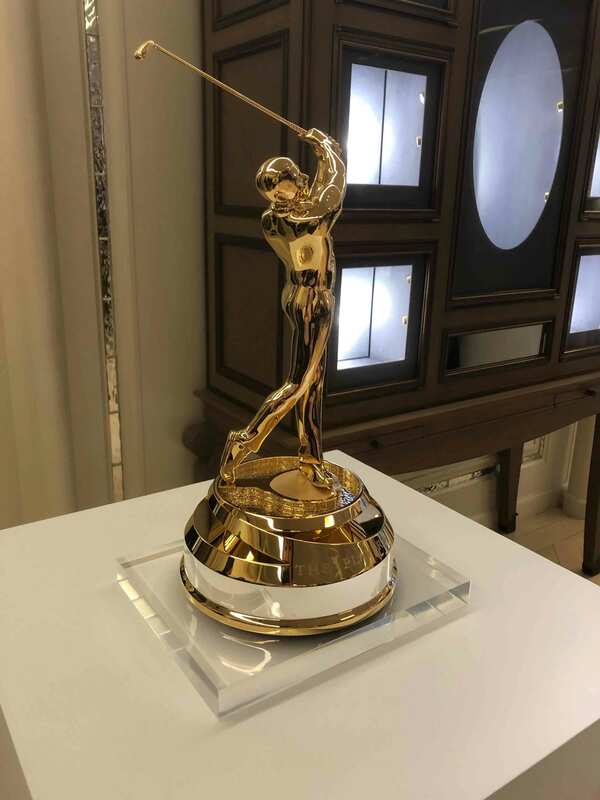 While not a major championship, the 2019 Players Championship is one of the game’s most prestigious events and currently offers a purse of $12.5 million, the largest in the history of professional game. The tournament is expecting a packed field including defending champion Webb Simpson, Justin Rose, Dustin Johnson and Jason Day. Tiger Woods returns from injury to take part with Rickie Fowler and Phil Mickelson also teeing off this weekend. The Players Championship, often referred to as simply the Players, was first played in 1974 at the Atlanta Country Club. The tournament moved to Florida in 1976, finally moving to its current home at the TPC Sawgrass in 1982. The TPC Sawgrass was the first TPC course to be built and also houses the PGA Tour headquarters. The Stadium Course, which hosts the the tournament, can accommodate 36,000 spectators. The course is best known for the par-3 17th hole known as the “Island Green” for its small green surrounded by water. The hole is notoriously difficult, once seeing 50 balls lost to the water in a single round in 2007. The tournament has seen numerous notable winners thanks to its high profile. Some past champions include Lee Trevino, Davis Love III, Phil Mickelson and Sergio Garcia. Tiger Woods can count 2 titles to his name, while the “Golden Bear” Jack Nicklaus is the only 3-time winner. 2017 winner Kim Si-Woo became the tournament's youngest winner at 21, while Steve Elkington holds the scoring record with -24 shot in 1997. Perhaps the tournament’s most comical event happened in 1998, when Brad Fabel’s shot onto the 17th Island Green only to be picked up by a seagull and dropped into the water. Luckily, the bird was considered an “outside agent” and Fabel was allowed to replace his ball where it came to rest on the green. There are many options available for fans looking to enjoy all the action at the Players. Daily Stadium Passes range from $25-$70 with Weekly Stadium Passes only $240. Kids 18 and under are free when accompanied by a ticketed adult with a Stadium Pass. Upgraded options are also available, including tickets to the Captain’s Club for $225-$250. This is a sports bar like facility with views of the 16th and 18th holes. Tickets include access to complimentary beer, wine and soda with food also available for purchase. For $350, fans can buy a ticket for the The Greenside Lounge is a shared, climate-controlled social hospitality venue located in close proximity to #9 green, the practice range, and #18 green. Or consider The Turn, a venue with a full bar and food for purchase and with outside views of #18 and inside view of #9 Fairway. The indoor facility is fully climate controlled with multiple HD live feeds to keep you full informed of all the action and costs patrons $600. College Students can enjoy a discounted Stadium Pass for only $45 after showing a verified student ID. In addition, the Players Championship provides all career military (active duty, Reserve, military retirees and dependents) with complimentary admission to the tournament all week and discounted admission for veterans. For fans unable to watch the action in person, all the action can be caught on the Golf Channel and NBC. Coverage starts Thursday and Friday on the Golf Channel 1-7pm ET. NBC takes over coverage for the weekend beginning on Saturday 2-7pm ET before wrapping up Sunday 1-6pm ET. Streaming coverage provided by PGA Tour Live with radio coverage from PGA Tour RAdio available on SiriusXM and PGATour.com.